I got honest tonight on Facebook. We'll see if the world ends. Not that I make a habit of being deceitful, but I don't generally bare my soul. Here, I generally do. But I've always felt safe with you, so it's easy to tell you everything. 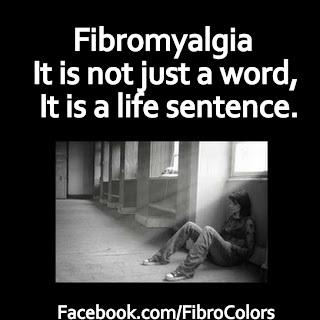 Tonight I'm struggling with the realities of fibromyalgia. I wanted so bad to go to church tonight. But after working eight hours today and six hours yesterday, it was all I could do to get home and put on pajamas. I'm exhausted and in a lot of pain. I didn't even have the energy for dinner - I just cut off a piece of cheese and ate it. I'm tired of missing things, especially church. I'm tired of having limits more suited to a 110-year-old. I don't remember what it feels like to have no pain. Worse than that, I don't remember what it feels like to not be tired. I wonder what people think and say about me. This is an invisible illness - I look fine on the outside. You can't see pain, and I can't begin to describe what I mean by "tired." I can't even take my showers in the morning because a shower exhausts me so much that I have to lie down and sleep after one. The other thing that's hard for people to understand is that this disease is so unpredictable. Sunday I could barely crawl out of bed, but Tuesday I could mow the lawn. Tonight the weight of my pajama top on my shoulders is painful. Tomorrow night is Pascha - and I have no idea how I'll feel or what I'll be able to do. One of the desert fathers said that his asceticism was illness. It can certainly be a path of sanctification - and you know that path well yourself. You're forced to learn patience, endurance, trust, and humility. So instead of grousing, I should give thanks for this disease that brings so much good to my soul. There is no cure, no recognized effective treatment, and no research funding. My circumstances are unlikely to change, so it is my attitude that has to adjust. I can do this. This is what fighting like a girl (the wonderful fibro slogan) has to mean to me - fighting well and faithfully the spiritual battle that always lies in chronic illness. I will give thanks in everything. I will endure all and learn patience from it. I will learn compassion, because every person is fighting an unseen battle. When people don't believe or understand me, I will learn humility. And none of those are declarative statements - they are in the optative. I will keep trying. Thank you so much for your help. You gave me the answer I needed, just like you always have. Obviously, I need your continued prayers. Thank you for your continued love and support!